As a project manager for a team of teenage urban designers? As a mentor for Chicago high school students interested in design professions? As a studio instructor for 14 to 19 years olds learning about architecture? Territory and our friends in the Chicago Architecture Educators Network want to bring more design field professionals into our programs. We need mentors, studio instructors, project managers and more. 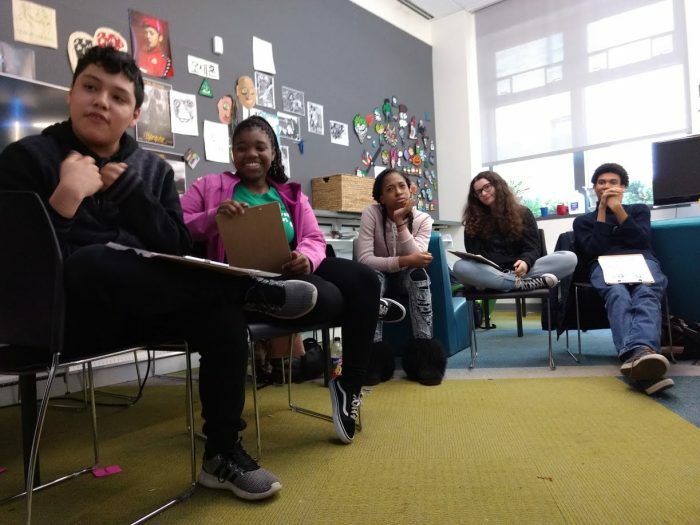 You decide how much time you want to commit, and what kind of expertise you want to share, and we will connect you with Chicago teenagers who are interested in design. As adults, most of us have an ambivalent relationship with our teenage self. We weren’t that awesome when we were teens. There’s stuff we regret. But we also experienced moments of intense loyalty, compassion, moments when we were invincible, carefree, terrified. Sometimes things were totally out of control. It was uncomfortable, unpredictable, heartbreaking place to be. So, no surprise, as adults we aren’t sure we want to go back. To help bridge this gap between the adult perception of being a teenager, and the actual challenges of working with teens, Territory is prototyping a design instructors workshop in collaboration with design instructors and representatives from the American Institute of Architects-Chicago, the Chicago Architecture Foundation, local design firms, and more. Our goal is to help potential mentors, instructors and facilitators build a toolkit for working with young people in Chicago’s diverse communities. What is the role of the design instructor in the life of the young person? Meet Chicago design programs for high-school age e.g. ACE, CAF, LBBA Labs, Territory, etc. Each organization presents 20 slides in 20 seconds focusing on a mission-specific project. See DIAG mission below. How does the design instructor build a more diverse design profession? How does the design instructor help young people build life skills for any profession (like presenting to a public, taking complex thinking and conveying it graphically and verbally, understanding logistics, etc.)? We would love to get you involved. Consider joining us for our first design instructors workshop prototype on Saturday April 14, 10am to 3pm. In this first iteration, participants will work side by side with Territory Urban Design Team in our studio in an immersive youth-led charrette-style training. We will explore some of the elements in the outline above through team activities. Space is very limited. Contact us at info@territorychicago.org if you would like to attend.